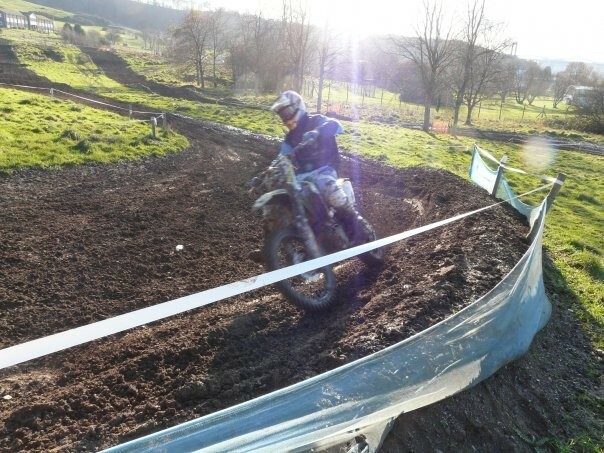 The track now has a laptime longer than whiteway barton with a total of 29 jumps varying from tabletops, doubles, triples, step ups, step downs and a set of woops, With several bermed corners. Track will always be limited to 120 riders to give everyone fair track time for there £20. We have on site 1st aid, catering and toilets. Track is open every two weeks right through the year (english weather permitting) as we are not governed by planning ect at the moment. The track gates open at 0900 and the first session is out on track at 1030 and we are open until 1600. We always give riders a min of 5 sessions we can do this because we only run 3 groups, 6yrs to 16, adult junior and adult expert. If at any time we end up having more than 120 riders it will be managed on that day. Any other practice days after that will be strictly booking in only and limited to 120 riders.